Yey! 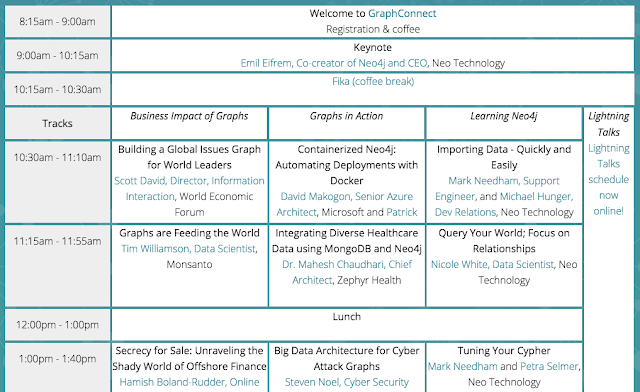 Tomorrow is GraphConnect - so it's going to be a high-day for me, for sure. Meeting with lots of wonderful customers and community members - it's going to be a great event. 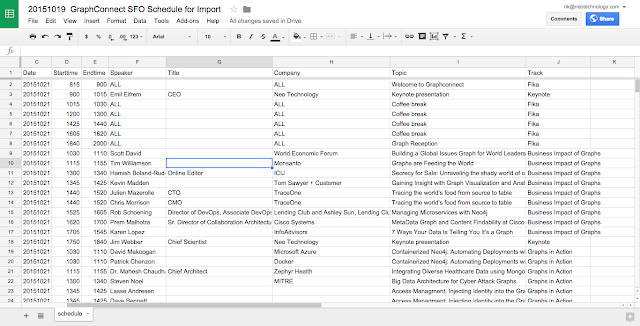 But I - naturally - want to look at this data in a more likeable format, ie. as a graph. 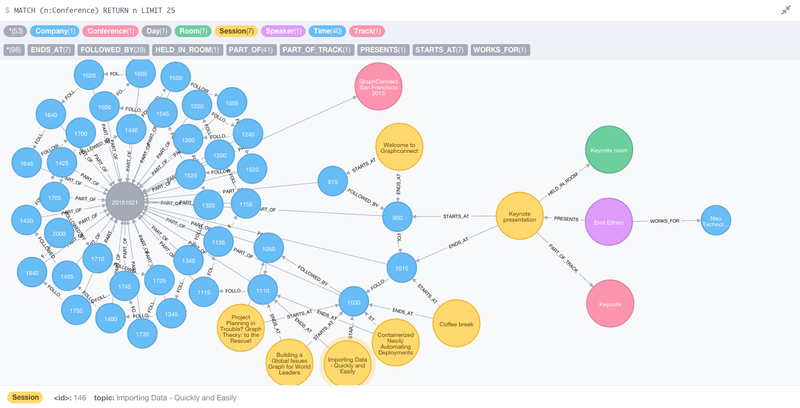 If you don't want to be loading the data locally, I have also created a little GraphGist page for you to play around with. You can find that over here. Hope you enjoyed that, and look forward to seeing you today/tomorrow/thursday at one of the conference events!